This week’s variety is Corvinone, not to be confused with Corvina. They are two different grape varieties, although both are from the Veneto and used in many of the wines from that region. 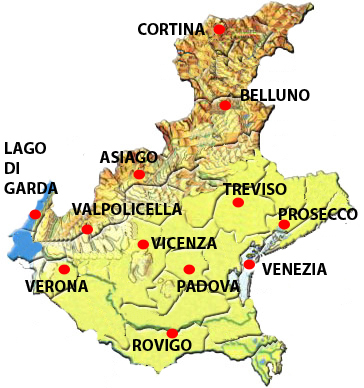 Corvinone is a red grape that is used in blends such as those of Valpolicella and Bardolino wines. It is said to be less alcoholic than Corvina with higher acidity. It is not a full bodied grape and grows best on hills. The grape is resistant to cold and is a good drying grape although it is sensitive to Botrytis. It is a blending grape and is not seen as a mono-varietal. When researching these grapes on the internet, I always come across a couple of sites of interest. This week’s site is called Wine Ways of Italy. In other wine news, a lot has been going on in the wine world these past few days. I often don’t comment on wine news but I think this blog post by Richard Jennings is very informative. I also love his headline referring to Henry II of England as well as Robert Parker’s physical appearance at the Professional Wine Writers Symposium and what is perhaps the last chapter in his long and distinguished career. Also, this week, Matteo Renzi was named Prime Minister of Italy, the youngest person every to hold that office. He has nominated his cabinet as well with 16 ministers, equally split between men and women. Another first for il Belpaese.